It’s time to mark your calendars as hockey season is right around the corner. 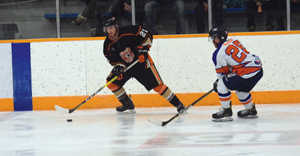 In fact, the Coaldale Copperheads will be gearing up and hitting the ice for main camp tryouts Sept 7/8/9th. Look for their league schedule in next weeks edition plus around surrounding locations in the community. The team will be defending their south league title from last season. Plus, with just losing in the final game of the league series, they have some serious unfinished business for the returning bunch. The Snakes will be lead coaching from Danton Shigemi along with his assistant coaches Ty Odland and Ryan Colby. All three have experience behind the bench, with Shigemi and Odland assisting in 14/15 season when the Copperheads were league champions for the first time ever for the franchise. Since then Shigemi was on the bench in 18/19 for the South title; Colby and Odland coaches the Taber Midget AA Golden Suns. Season Home Opener is set for a Sunday debut this year (Sun Sept 16j against the High River Flyers at 5:30 pm. The team is hopefully this is more pleasing to the fans for start up of the season. Player and coaching introductions will take place Sunday as well as the official puck drop. Following the Sunday game the Copperheads have chosen to officially unveil their south championship banner on the next home game (Sat Sept 22) against the Airdrie Thunder. This evening game will be in honour of their teammate Morgan Simpson, who passed away last year during the season. Morgan’s twin brother Ryan, part of the Thunder team, and his family will be present. The Copperheads remind fans that game or season tickets are currently available (coaldalecopperheads@gmail.com). The next couple weeks is prime opportunity for individuals or businesses willing to help sponsor the junior team. Many advertising opportunities our available inside the arena Snake Pit. Visit the link on the website for more details on the various levels.